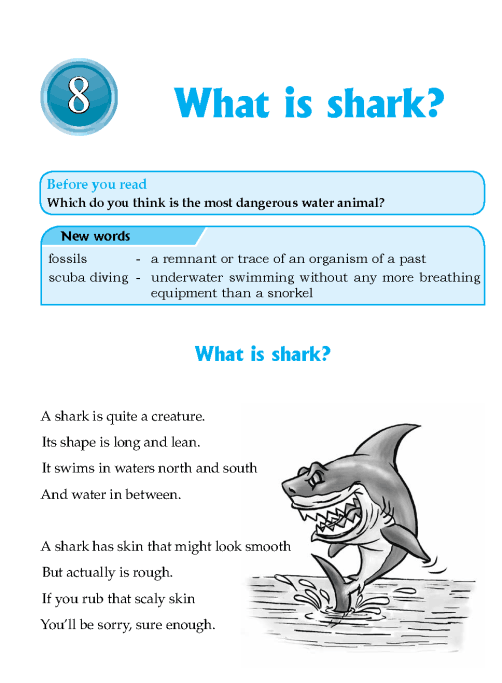 What is shark’s skeleton made up of? What happens when a shark loses its tooth? How do scientists learn about sharks? Which is the most dangerous shark? Why? Literature Grade 4 Myths and legends How were Agastya and Vashistha born?